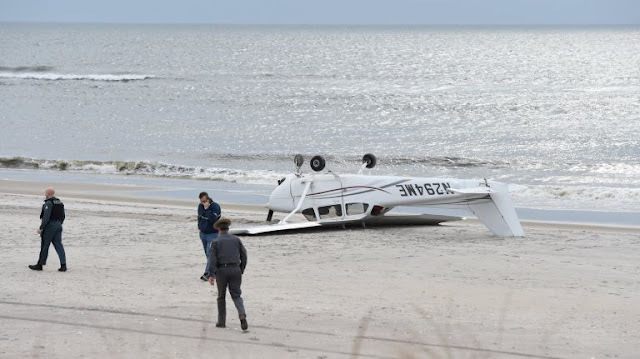 The flight instructor reported that, during a local instructional flight along a coastline, he reduced engine power to idle when the airplane was at an altitude of about 2,000 ft above ground level and had the student pilot perform the checklist for an in-flight engine failure. As part of the simulated event, the student also performed the checklist for "unable to start engine." As the airplane reached an altitude of about 1,000 ft above ground level, the student increased engine power to recover, at which time the engine produced about 1,500 rpm and then returned to idle, even as the throttle was further increased. The flight instructor immediately took the flight controls. He turned off the magnetos and the engine. He then turned on the electric fuel pump for 2 seconds and attempted to restart the engine, but the engine produced only partial power. 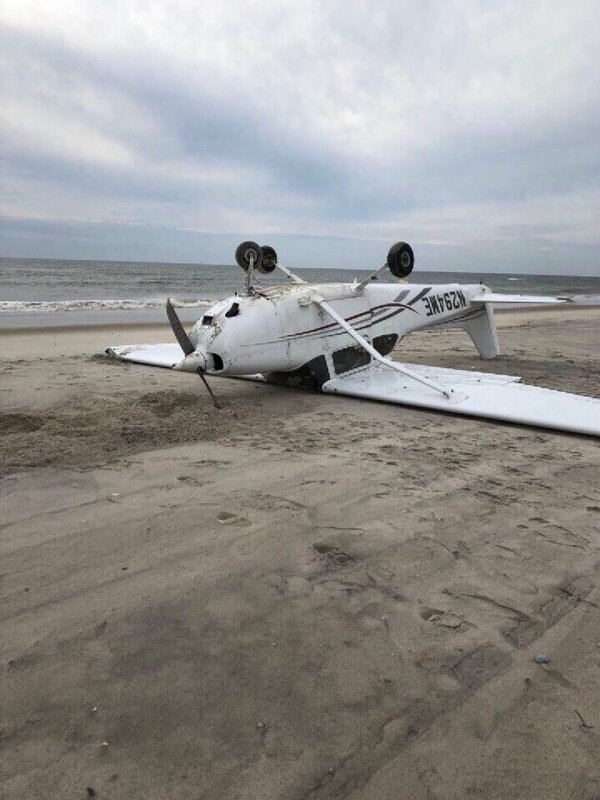 The flight instructor then performed a forced landing to a clearing on a beach. 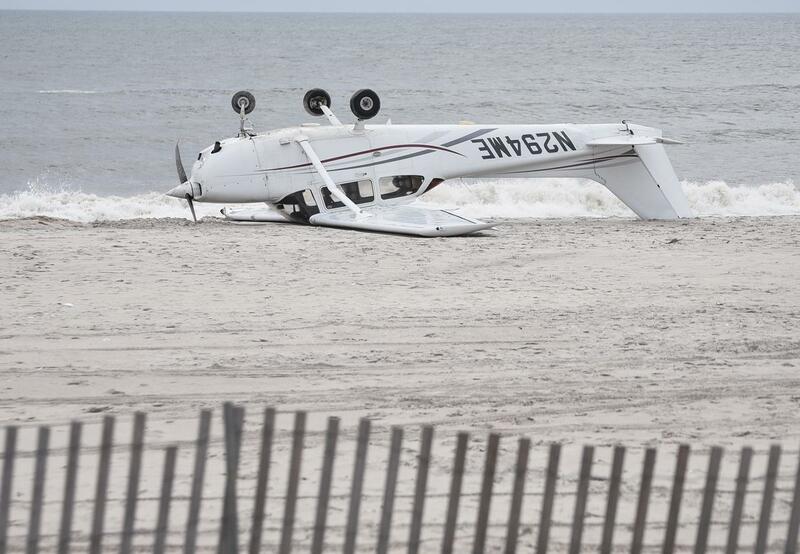 During the landing roll, the airplane's nosewheel sunk into the sand, and the airplane nosed over. The airplane's right wing and fuselage sustained substantial damage. Postaccident examination of the airplane did not reveal evidence of any preexisting mechanical anomalies that would have precluded normal operation. A postaccident test run of the airplane's engine revealed that it started and operated normally at various power settings up to 2,000 rpm. Thus, given the available evidence, the reason(s) for the partial loss of engine power could not be determined. The partial loss of engine power after a simulated engine failure for reasons that could not be determined because a postaccident examination and an engine test run did not reveal any anomalies that would have precluded normal operation. On January 29, 2018, about 0930 eastern standard time, a Cessna 172S, N294ME, was substantially damaged during an emergency landing on the Robert Moses State Park Beach in Babylon, New York. The flight instructor, student pilot, and passenger were not injured. The airplane was registered to Hickory Lane Corp. and operated by 30 Aviation Inc., doing business as Nassau Flyers under the provisions of Title 14 Code of Federal Regulations Part 91 as an instructional flight. 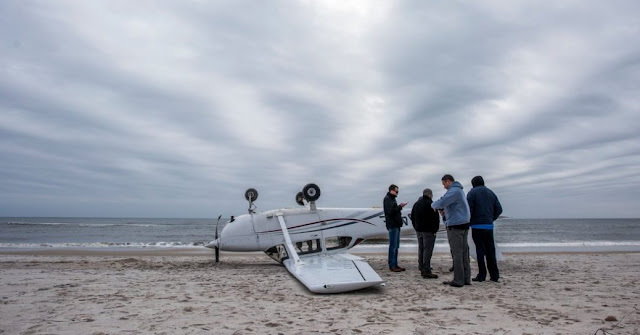 Visual meteorological conditions prevailed, and no flight plan was filed for the flight, which originated from Republic Airport (FRG), Farmingdale, New York, about 0835. According to the flight instructor, the student pilot completed multiple ground reference maneuvers, and as they were headed back to FRG, the student requested to practice an emergency procedure. The flight instructor agreed, climbed the airplane to about 2,000 ft above ground level (agl), reduced engine power to idle, and had the student perform the "engine failure in-flight checklist." Subsequently, the student continued the simulated event by proceeding to the "unable to start engine checklist," and as part of the checklist, moved the mixture control knob about 75% toward idle-cut-off. The flight instructor stopped the student pilot from moving the control knob any further and returned the mixture to full rich, and the student continued the checklist, with the flight instructor making sure the student did not actually "touch anything" further. About 1,000 ft agl, the flight instructor told the student to increase power, and as he did so, the engine produced about 1,500 rpm and then returned to idle, as the throttle was increased further. The flight instructor immediately took the flight controls, pulled throttle to idle, then increased the throttle to full power, which produced the same engine performance. Subsequently, he "turned the magnetos off and pulled the mixture [to idle-cut-off] to turn the engine off." He then turned the electric fuel pump on for two seconds, "started the engine again," and "applied the throttle to the same effect." About 700 to 800 ft agl, the flight instructor identified a clearing on the beach, extended the flaps to 30° and touched down about 62 knots. He reported that the airplane slowed much faster than he had anticipated, and he gently applied brakes to slow the airplane down further. As he continued to apply the brakes, the nose wheel sunk into the sand and the airplane nosed over. A Federal Aviation Administration (FAA) inspector's examination of the airplane revealed that the fuselage and right wing sustained substantial damage during the landing. The inspector examined the wreckage at the accident site and found that the fuel-shutoff-valve (SOV) located between the two pilot seats, near the floorboards, was partially pulled toward the closed position. After the airplane was recovered, an engine test run was performed. The FAA inspector observed the engine start and run continuously at multiple power settings up to 2,000 rpm without interruption, with the engine utilizing the airplane's own battery and fuel system. During the test, the fuel SOV was moved to the position it was found at the accident site (partially pulled toward closed) and the engine also produced 2,000 rpm with no abnormalities observed. The inspector added that no abnormalities were observed during a functional on/closed test of the fuel SOV. During a postaccident interview, the FAA inspector asked the student pilot if he had moved the fuel SOV during flight, and the student reported that he had not. The flight instructor also could not recall if anyone had moved the fuel SOV during flight, or during the evacuation. The flight instructor also reported that he and student pilot did not discuss simulated engine failure procedures during preflight. According to FAA airworthiness records, the four-seat, high-wing, single-engine airplane was manufactured in 2000. It was equipped with a Lycoming IO-360-L2A, 180-horsepower engine. The engine had accumulated 1,420 hours, and the airframe had accumulated 6,097 hours. The most recent annual and 100-hour inspection was performed on December 22, 2017. The weather conditions reported at FRG airport, about 9 miles northwest of the accident site, included wind from 050° at 11 knots, visibility 10 statute miles, clear skies, temperature 4°C, and dew point -2°C.